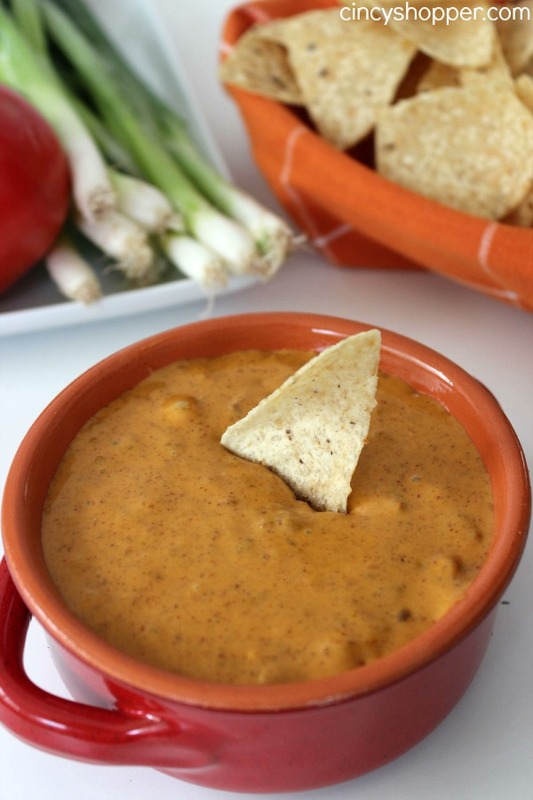 If you are looking for a totally tasty Queso Dip to serve up this CopyCat Chili’s Queso Dip Recipe is going to be perfect. My hubby and kiddos are always snacking on tortilla chips (their favorite chip for sure!) but wanting me to purchase jarred queso that just never tastes very good to me. When we head out to eat I like to order up the chips and Queso especially when we head to Chili’s to eat. Since we are a large family we usually can not afford to eat at Chili’s very often. By the time everyone orders a meal and we order up our favorite appetizer the bill is crazy expensive. 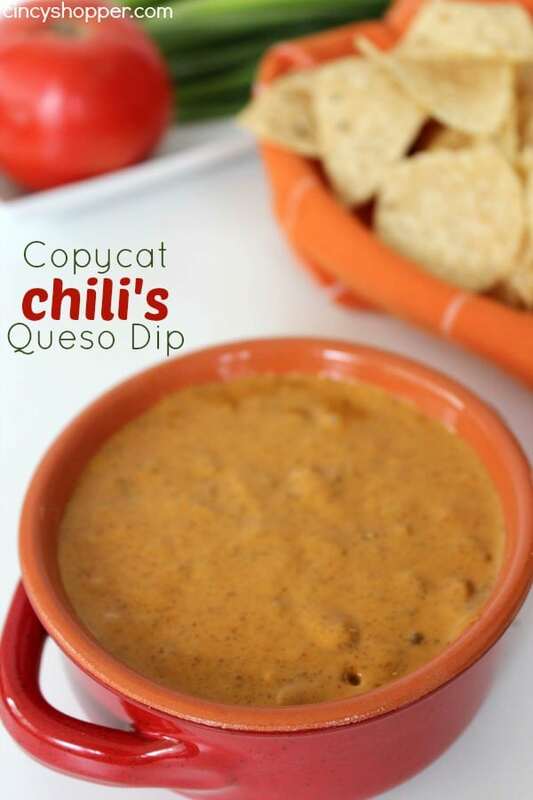 I have shared MANY CopyCat Recipes that we have made. CopyCat Recipes always save us big $$’s. Making our own homemade versions allows for the whole gang to enjoy. 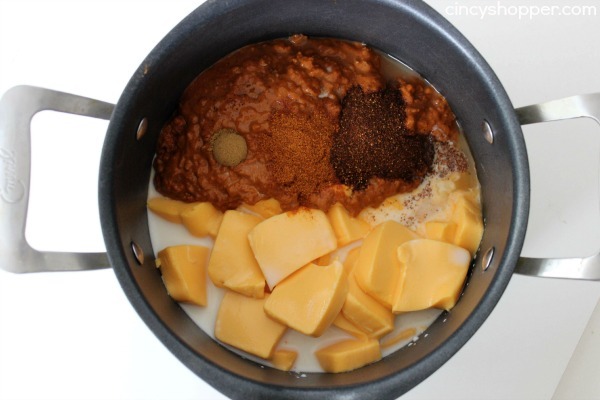 This CopyCat Chili’s Queso Dip Recipe is loaded up with cheese and chili flavors. YUM! Just a bit of spice to give you a kick! 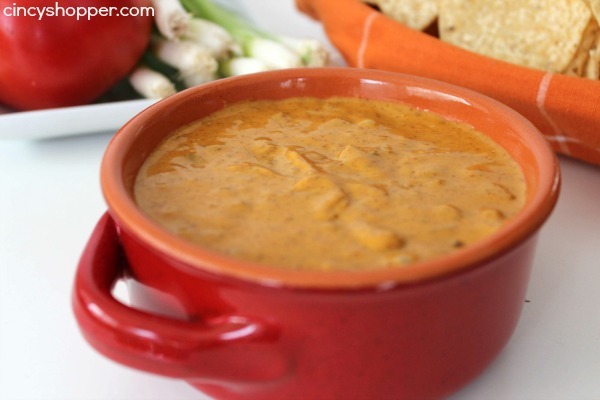 Perfect for a side dish to a Mexican meal, great when entertaining or for an evening snack. The ingredients needed for this Copycat recipe are quite simple. 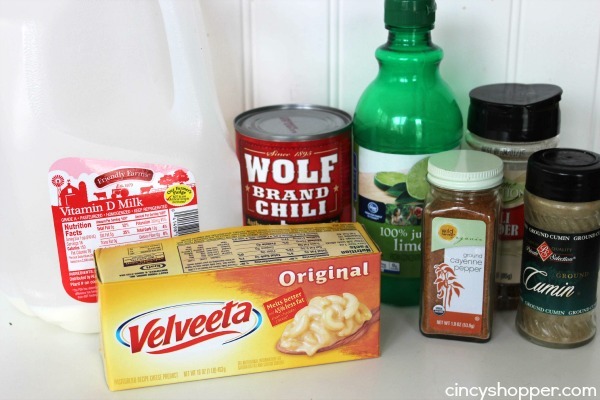 Grab some Wolf Chili (we quite often see coupons for Wolf so I always stock up), Velveeta Cheese, milk and a few spices. Pretty simple! Plus this recipe comes together in just a few minutes time. Quick & Easy my favorite types of recipes! Cut the Velveeta into cubes. Heat all ingredients in pan over medium heat stirring frequently. If you are planning to do some entertaining over the Holidays or Game Days this recipe will be perfect for you to serve up. 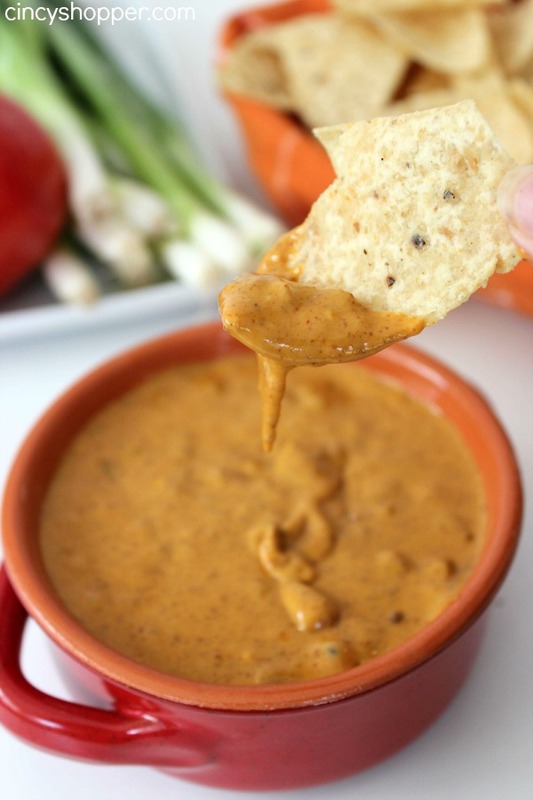 Much better than jar queso dip! Adapted from Todd Wilbur’s copycat recipe. My husband LOVES this dip! I am so glad I found the recipe!!! !